What does the word holiday mean to you? Then imagine holidaying in Cornwall. What comes to mind? If you’re anything like us, then it’s all about waking up in a stylish space of your own. It’s about rolling out of bed onto a beach a few metres away and having everything you need to be able to just switch off and recharge. 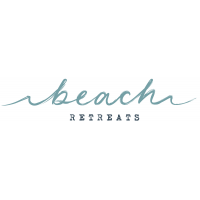 Beach Retreats is about self-catering properties that offer something unique, each carefully selected for their interior design as much as their beach-side location. And then there’s Cornwall itself, a place that does as little or as much as you want it to. The words that immediately come into our mind when we imagine holidaying in Cornwall are ‘beach’ and ‘retreat’. You will find Beach Retreats on the best Cornish beaches, from the rolling surf and imposing beaches of the north coast to sheltered expanses of sand on the south coast. We’re picky about the properties who join our portfolio, only including those within walking distance of a good beach, the right local restaurants, beach cafes and amenities, with beach-chic contemporary interiors. All properties include unlimited wi-fi, guaranteed parking spaces, while many have surf lockers and outdoor showers to make the most of beach-life during your stay.